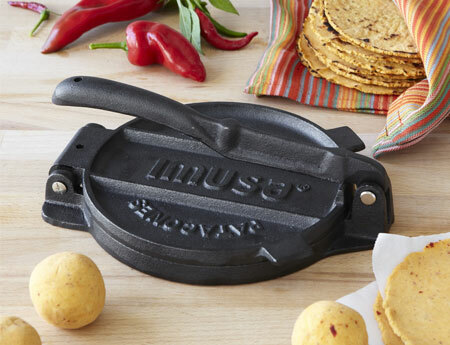 IMUSA cast iron tortilla press is a best seller in the U.S. 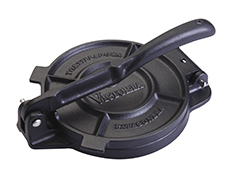 The traditional and durable design allows for perfectly pressed homemade tortillas, with just the right thickness and round shape. 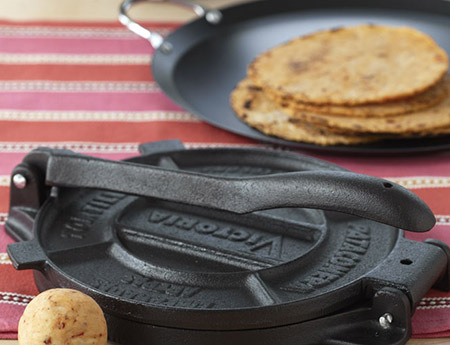 The tortilla press is an essential tool in any Mexican kitchen. Tortillas have been used for many centuries, particularly in Mexico and more recently in the United States. The tortilla is consumed all year round, and are most commonly prepared with meat to make dishes such as tacos, burritos, and enchiladas. 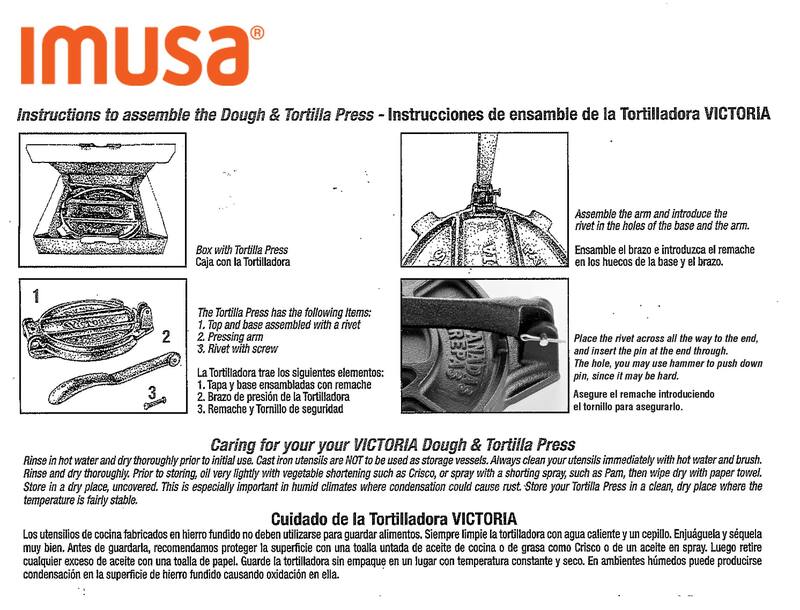 Easy to use – just insert your dough or ‘masa’ and with one press, a fresh tortilla. 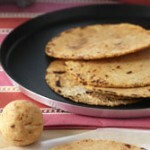 Impress your guests with homemade tortillas at your next Mexican-themed dinner!